It’s not every day that an international tour company boasts that in all its years of operation there’s one tour that has consistently broken the records. One tour that everyone wants to do. And of course that one tour is the one we wanted to do. During our stay in Split, Croatia I had been lucky enough to see the trailers and production team for Game Of Thrones all set up for filming. The next day when Josh arrived it was gone. I wasn’t willing to give up. So when we heard that casting was happening down in Dubrovnik, hope was renewed. However they were looking for males under 190cm, which meant my future celebrity status as an actor was down the drain and so was my chance to live vicariously through my husband (since he’s way too tall). The next best thing for us was a visit to the sites that make the show, and this turned out to be just as cool. If you have not succumbed to this popular TV show yet then perhaps I can entice you. Being a lover of both the book and the TV series, I was super excited for our day with Tours By Locals. We met our tour guide, Tom, at the Pile Gate. This is the gate most cruise ship tourists enter from so make sure you have a thorough understanding of the meeting place. Luckily Tom found us easily and introductions were made. 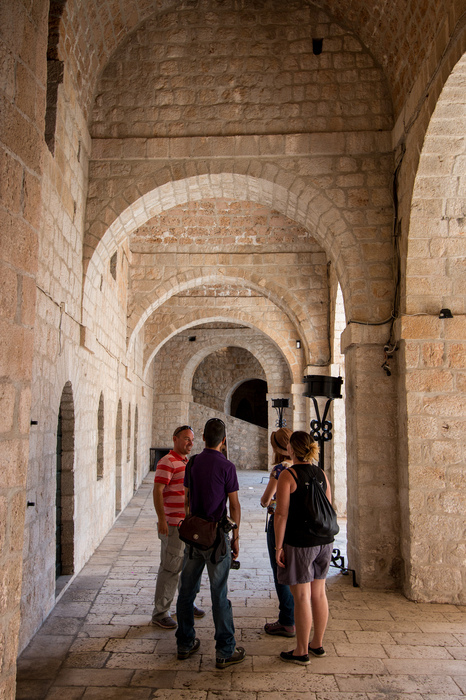 Tom has lived in Dubrovnik for over 30 years and is not just fluent in Game of Thrones, but in Dubrovnik itself. His mastery of the city and its culture was top notch. 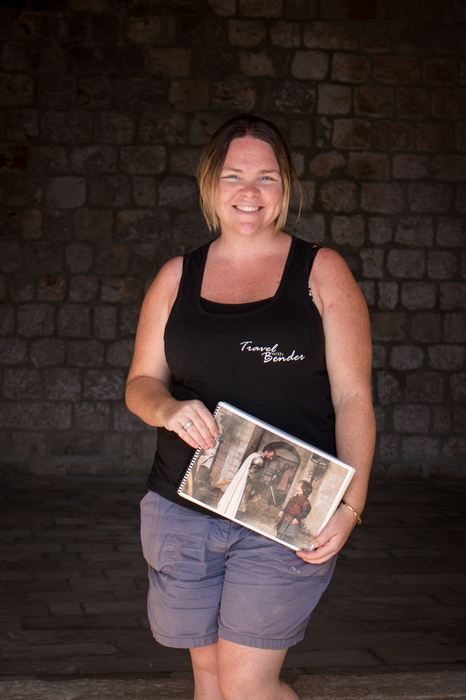 On top of what Tom knows about Dubrovnik, he’s lucky enough to have a sister who was an extra in Game of Thrones and thus, has comprehensive inside knowledge on the different locations and delectable titbits on the famous HBO series that no other tour guides have. Describing the tour for you is hard, because you have to really be here to get it. 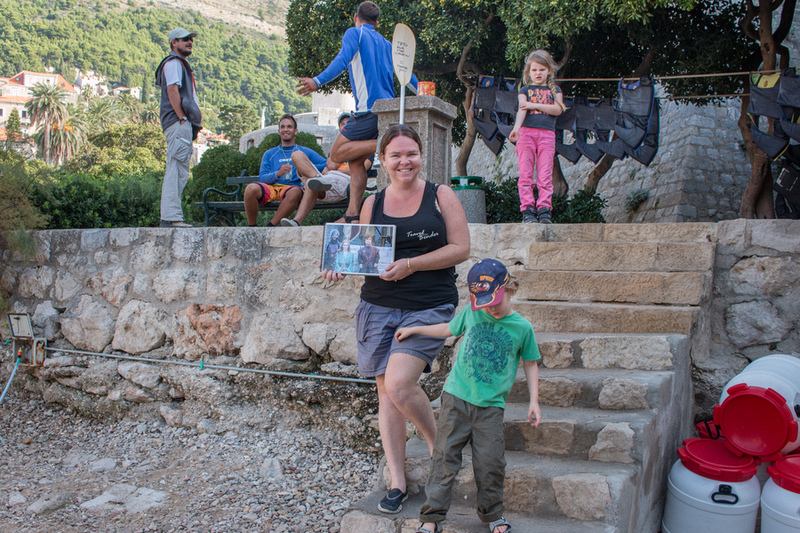 Tom brought along a comprehensive picture booklet of scenes from the show that we could hold up and compare to the actual place he was showing us. We visited places within the city walls, outside the city walls and even walked up to the nearby fortress. Entrance to the fortress was included in our old city wall ticket that we had purchased the previous day (and didn’t even know). See if you recognise some of these show locations from our photos. I don’t want to describe everywhere we went, because that would be a spoiler alert for the tour. But believe me when I say in addition to a good dose of Dubrovnik and it’s history you will get to visit multiple locations where filming was done. But What Can You See? 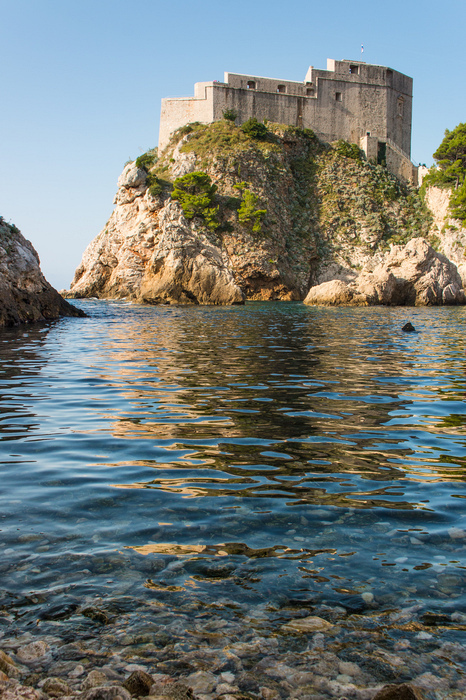 The Walls of Dubrovnik and of Fort Lovrijenac were used for scenes in King's Landing and the Red Keep. 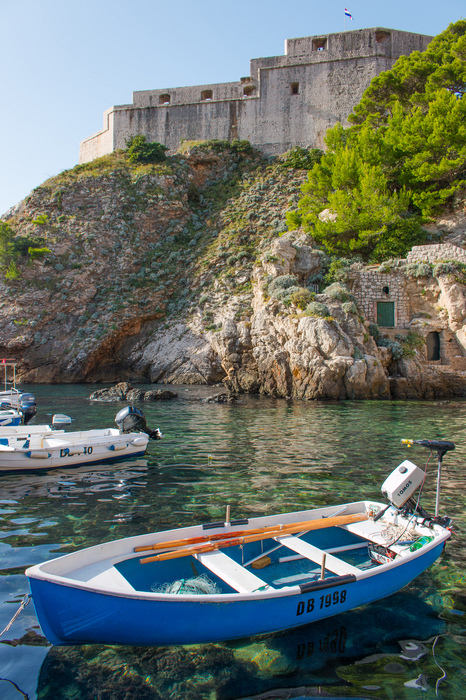 In fact Dubrovnik is often referred to as ‘King’s Landing’ these days. From the fortress you can see the island of Lokrum used for scenes set in Qarth. 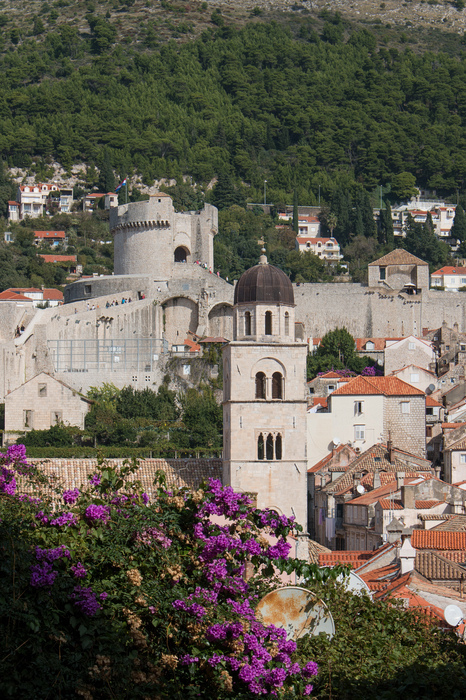 The fortress itself was used for many scenes, including King Joffrey’s name day. And from there you can see the Minceta Tower, which was where Deanerys entered the House of the Undying. 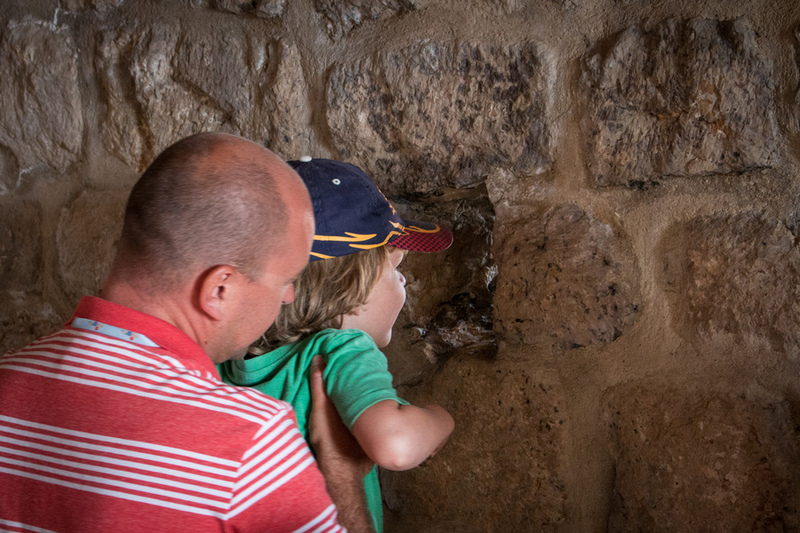 Do you dare to explore the mysterious tunnels of The Fortress? After our tour Tom led us down several winding back streets in the old city to a small, gated hole in the wall - literally. Through the gate and down the stairs we discovered the most happening, the most scenic bar café I’ve ever encountered. 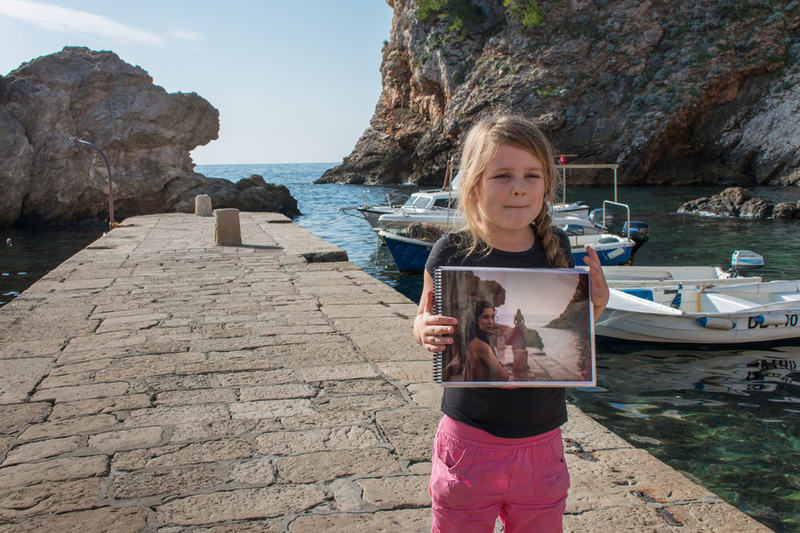 Right there, perched on the rocky cliff overlooking the Adriatic Sea - it was picture perfect. This place is called Buza Bar or Buza Café which literally translates to “hole in the wall”. Very appropriate. Want a relaxing drink by the ocean? This is the place you’ve been looking for your whole life! After that little escape we also stumbled into a tiny hostel with a unbeatable calling card. Late one night after drinking on the town, Tyrion Lannister (AKA Peter Dinklage) made some new Aussie friends and went back to their hostel to continue drinking. You can now found a proud sign above the couch a reminder of that night and still the friendliest people around. Our kids were offered a jam donut while we (or rather I) eyed off Peter’s comfy couch bed. If only he’d still been there that day. Peter Dinklage personally warmed up this spot for Caius. How thoughtful. 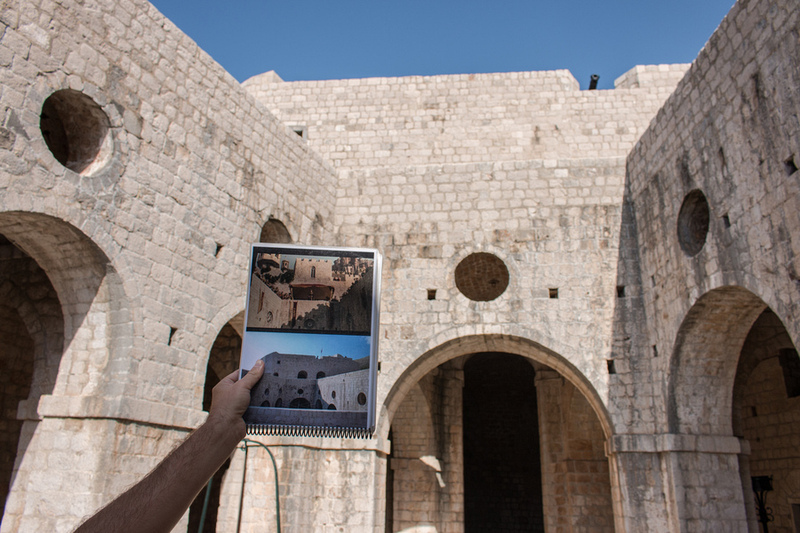 Apart from the tour you can also visit 4th season filming locations such as Diocletian's Palace in Split, Klis Fortress north of Split, Perun quarry east of Split, Mosor mountain and Baška Voda further down to the south. Map of Dubrovnik highlighting the 300+ UNESCO heritage buildings that were damaged during the Croatian War of Independence. It is estimated that Game of Thrones was the most-pirated TV series of 2012, 2013 and 2014. 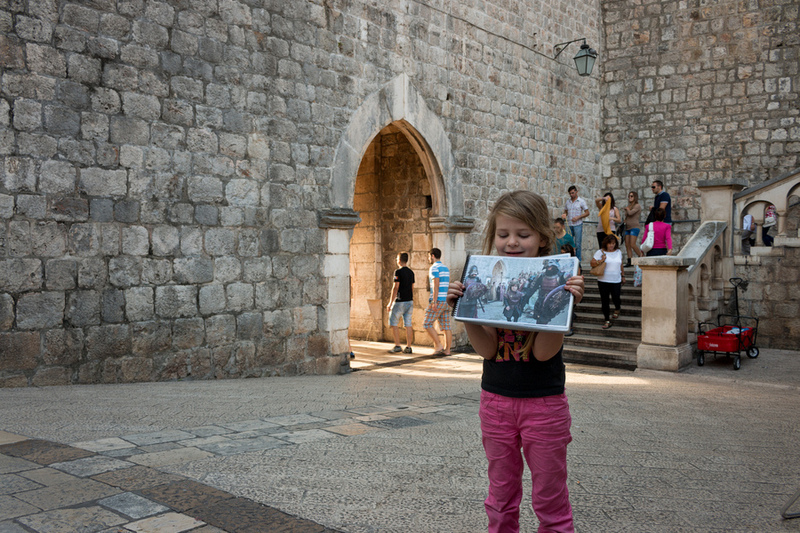 Meanwhile Tom is running over 100 tours during the summer months in Dubrovnik. You might find his interview of why it’s so popular on the Tour By Locals blog an enjoyable read. 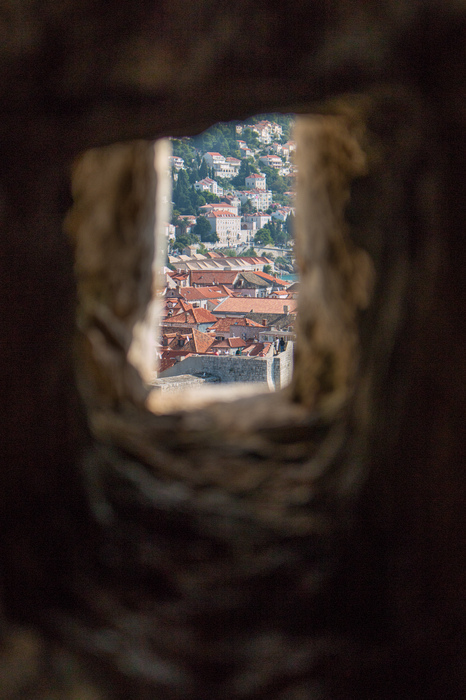 For fans and not-yet-fans, I would have to say this is a great amalgamation of Dubrovnik history, secret local spots and pure Game of Thrones delight. The only thing that could possibly make it better was if Peter Dinklage replaced Tom as guide. Sorry Tom. That is very, very awesome! I love Game of Thrones so, so much!!! Thank you for posting this and this is truly helpful...We might be going to Dubrovnik so I happened to have found your site when I searched. I hope that is ok. How did you find Tom as I would rather hire him for our tour. Game of thrones, it is not just a series it is a sensation. Whenever a game of Thrones season is released everyone everywhere is talking about it. This all came from a mind of a single great man, the writer of the story George R. R. Martin.